Every year in Ireland, there are 22,000 weddings. Assuming most of them have both a hen party and a stag, that suggests that there are more than 40,000 organised events per year. And these days stags and hen parties these days are not just evenings out in the local pub. They are organised trips that possibly involve flights, bus transfers, overnight accommodation, meals out, fun events and more. If each booking has a notional average of 10 people attending, spending an average of €500 each, that’s a €200m market potential. And they’re just the Irish weddings. 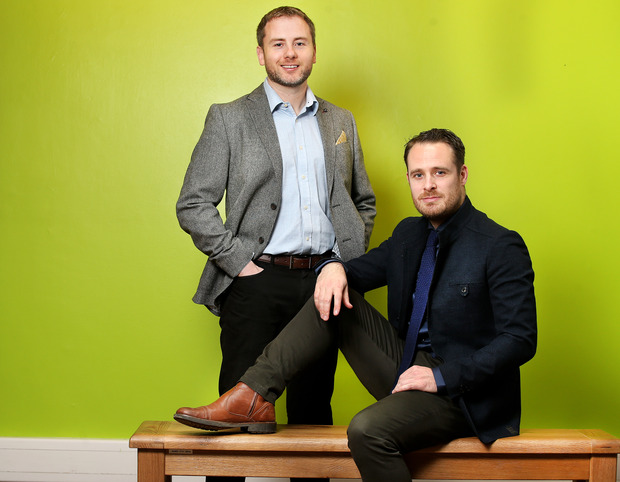 Darragh Kirby and Shane Murphy met in the National College of Art and Design in 2002 when they were both studying product design. In their college years they struck up a great understanding and friendship that has kept them together now as business partners. After college they went travelling for a year. “We literally followed the snow,” said Darragh. “As we skied our way from Canada through the US and on to New Zealand, we toyed with lots of business ideas. “During our college years and while travelling, we experienced the frustrations first hand of trying to plan and book trips. So we were convinced that we could develop a solution to take the pain out of it,” said Shane. They set up Coronal Travel in 2014 to tap into the niche group travel market, initially focusing on stag and hen parties. That was followed with university group bookings. They saw this as a way of bringing event planning into the travel industry. Shane is also a programmer and he developed and built a bespoke platform that is effectively a marketplace and fintech group management system. Starting and testing the market with just one product, they now have four key brands, with more to come. Their current brands are The Stag Balls, The Foxy Hen, UniTripper and Book Irish Tours. This is an online business where the organiser of an event can go on-line and self-build their own group booking, which includes everything from accommodation and meals to fun events and activities. That organiser then shares a unique on-link with their circle who then go and make their own individual bookings from that organised menu. That saves the organiser having to go and collect money from each friend. It also saves them having to go in and out of multiple websites to book the accommodation, activities, etc. I personally checked the prices myself and discovered that Coronal prices are transparent and the same as if I had booked directly. Coronal make their money from the discounts that they get from the suppliers. When they engage with hotels and restaurants they secure a group discount. Compared to the commissions that hotels have to pay to online booking sites and with the risk of last-minute cancellations, this is a win-win for them and Coronal. And, of course, it’s a big win for the traveller, as everything can be booked through one portal with just one payment transaction per person. The business is all driven through social media and word-of mouth. There is a very high rate of referral and repeat business. The convenience and the value for money encourages individuals in the groups to log back in when they are organising their own events and birthday parties. When hiring new team members, they are of course concerned that the person can do the job. But they’re more concerned about fit with their culture than they are about qualifications and CVs. They put a huge amount of their success to date down to their luck in finding the right people at the right time. Partnerships can be challenging but I was very struck by the camaraderie between Darragh and Shane. They know each other’s families and they share similar morals and work ethics. Even when they disagree on something, they trust each other and know that each has the other’s back. Most large organisations have internal social clubs for their employees. In my experience, organisations happily support them. But they would be even happier if the time required for planning them was managed. Coronal has built its success on the model of ‘simplicity for the organiser’. Taking that same model and online platform, they see similar potential in the corporate market. Shane has an interest in astronomy and that’s where the name Coronal comes from. They are shooting for the stars with their plans to break into the corporate market. They are already in the development stage of this project with a new brand and they know that trust and reliability will be a big factor for this market.